Get Your Home Affordably & Thoroughly Cleaned By The Professionals! The top professional house cleaning services around! Choose from weekly, bi-weekly, and monthly house cleanings with Home Cleaners4You. Give yourself a better quality of life while ensuring you home stays consistently spotless! Learn more about our house cleaning process below. Have you ever really looked at all of the chores you have to do around the house to keep it looking clean and feeling fresh? It’s not a short list! In fact, when you take the time to look at all of the cleaning and tidying that needs to happen daily, weekly and monthly, you might be a little overwhelmed. Relax! Home Cleaners 4 You is here to help with a full scope of residential cleaning services in Northern Virginia. Weekly: For homes with kids and pets, weekly house cleanings are critical. We’ll visit you each week to give your home a full reset, restoring everything to a like-new state of cleanliness in preparation for the week ahead. Bi-weekly: Great for discerning homeowners who like to have a professional, deep house cleaning in Northern Virginia a couple times per month. This is a great maintenance tool to keep your living space in its best condition. Monthly: You might not need daily or bi-weekly maid service in Northern Virginia, but having a professional come in once a month to deep-clean your living space is never a bad idea! Calling Home Cleaners4You is about more than just cleaning up around the home and reducing your chore list—it’s about giving yourself a better quality of life. With our team on your side, you’ll spend less time cleaning, saving you time and energy to do the other things in your life that you enjoy. 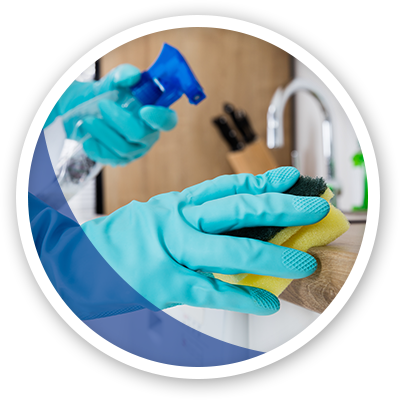 To learn more about our housekeeping services in Northern Virginia or to schedule an appointment to receive top house cleaning services “near me”, give us a call today at 703-256-1288.